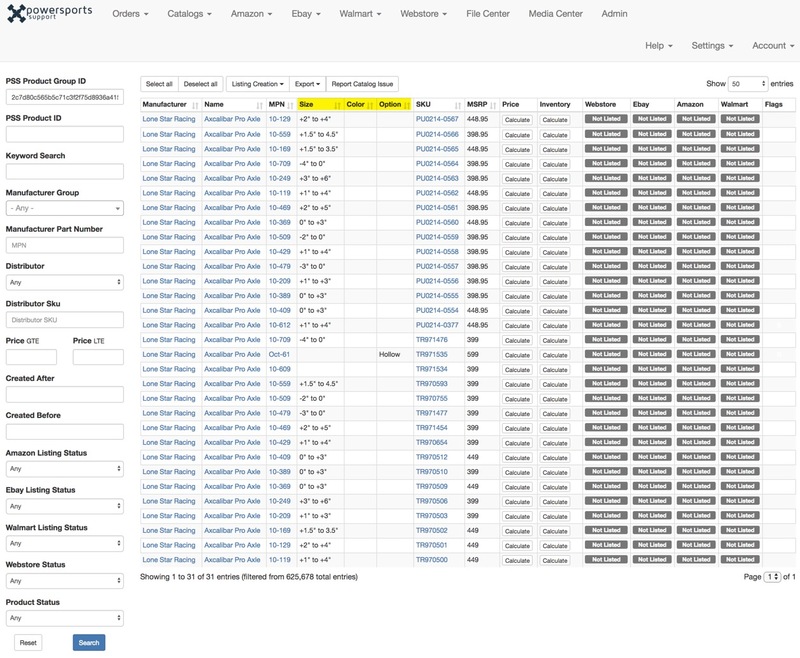 The PSS Catalog Team groups products with different attributes together so that they can display on a marketplace with drop downs or attribute selectors. In the below example we will look at a Product Group of Axcalibar Pro Axles by Lone Star Racing. 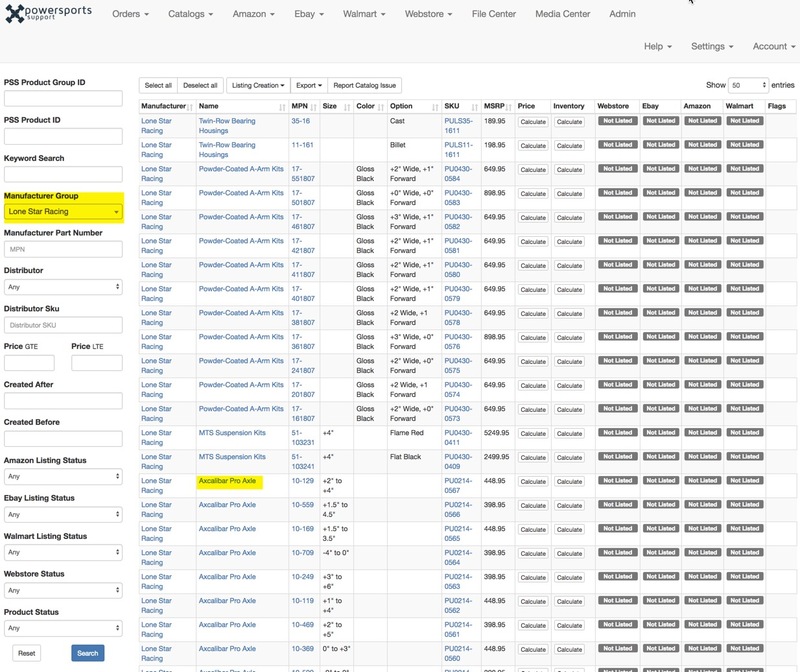 Filter the Catalog by Lone Star Racing and click on the Product Name for one of the lines. This will bring up the entire Group. Notice how each MPN has a different attribute.